$45.95 This may be in stock for quick delivery; please call! 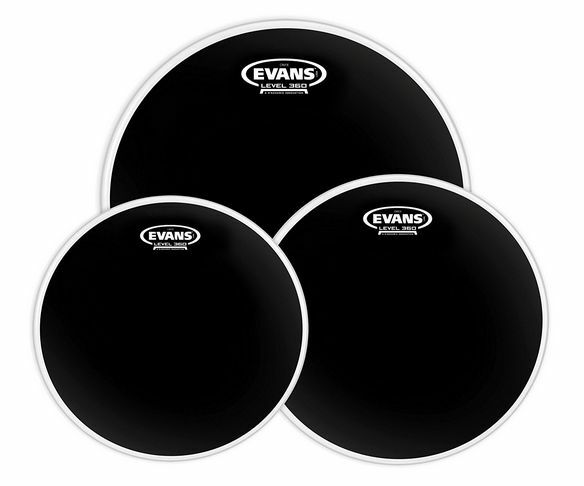 Evans Standard Tom Pack (12", 13", 16") Onyx two-ply drum heads deliver increased low end response and attack. 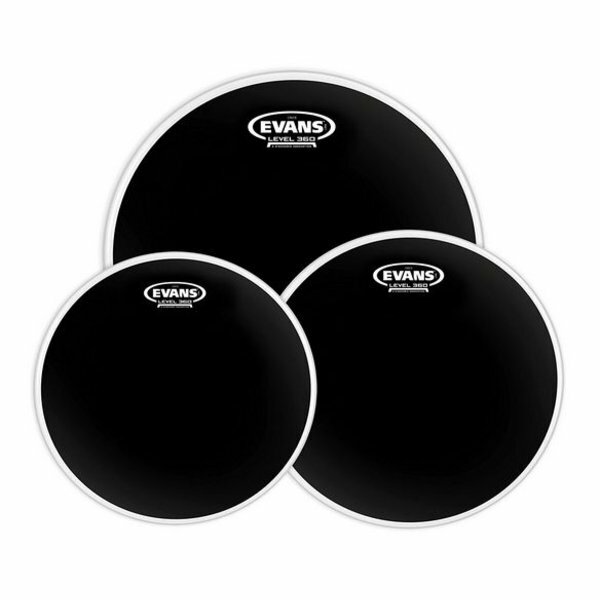 Evans Standard Tom Pack (12", 13", 16") Onyx two-ply drum heads deliver increased low end response and attack. Evans Onyx series features two plies of 7.5mil film that will deliver enhanced durability while making the drums cut through the mix live. A frost coating gives the Onyx heads a matte black appearance and increases low-end response and attack. Evans Level 360 technology is incorporated to extend the level playing surface of the drumhead, 360 degrees around the drum. The vertically enhanced collar design guarantees even contact with the critical bearing edge of the drum shell, resulting in: ease of tuning, extended pitch range and optimum quality of sound. Evans Level 360 technology resolves the age-old dilemma of traditional synthetic heads consistently not fitting the drum shell without using considerable force.